In internet marketing, conversion optimisation, or conversion rate optimisation (CRO) is a system for increasing the percentage of visitors to a website that converts into customers, or more generally, takes any desired action on a web page. Let’s find out how you can improve your conversion rate optimisation with some easy to implement ideas. To start improve your conversion rate optimisation you need tools and analysis. There are more, and depending on your business size, type and traffic you’ll need to determine which is best for you. For most companies Google Analytics is plenty. If you want to have a cohort analysis, using a combination of Google Analytics and KissMetrics will do the trick. Qualaroo offers online surveys that allow you to ask questions on specific pages or at specific points in your funnel. Survey Monkey is an online survey tool, which helps create surveys, customer feedback and market research via email and social media. SurveyGizmo is a software company focusing on creating online surveys, questionnaires, and forms for capturing and analysing data. PollDaddy is a user-friendly polling software that can be used to get user feedback via email or social media. Survey.io is a fixed survey designed for startups to determine if their product is delivering an irreplaceable must-have experience. Optimizely is a website optimisation platform focused on A/B and multivariate testing, making them easier to use and understand on your site. Google Content Experiments is integrated with Google Analytics and is Google’s free website testing and optimisation tool. Visual Web Optimiser also focuses on an easier approach to A/B and multivariate testing but includes behavioural targeting, heatmaps, usability testing, as well. Unbounce also offers A/B testing, while focusing predominantly on the efficiency of your landing page. Google Optimize, a new tool from Google will conduct A/B tests for free and it is currently is gradually rolling out. Now, with one of each category, we can run tests and improve our conversion rate optimisation and also our revenue. This factor can’t be ignored. 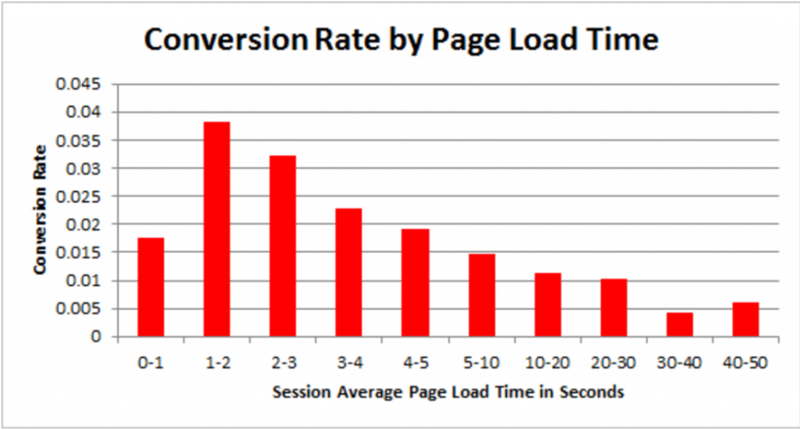 As the Tag Man blog reports, a single 1-second delay in page-load can result in a 7% decrease in conversions. Pay attention to your site speed to ensure your optimisation efforts aren’t in vain. Use an analytics tool to find your Page Speed. For ecommerce the conversion rate is a closed sale, but for a blog the conversion can be any goal you want. Your website is your salesperson. A good salesperson markets their most appealing and important attributes. Double-check your website and make sure you’re communicating your value and advantages. Also, be sure to track these interactions and how people react. Use an analytics platform to measure the importance. Social proof. Testimonials will give users a feeling of security and trust. Appeals to authority. Try to find a trend, belief, or position that’s advocated by someone of stature in your area of expertise to promote you. Third party validation. A variant of the social proof above, but instead of testimonials you can use trusted brand logos to borrow their brand equity for your brand. Build a community. Users are the main reason to be online. Give them a way to participate in comments, reviews and feedback. Referrals. Try to make your clients your most important advocates. Help them refer you, with incentives like discounts or free gifts to users who recruit others through email, social media, etc. Here are a few methods of increasing your AOV. You can improve your revenue even without improving your conversion rate. Bundle the products. Combine complementary products, and give the user a discount for purchasing them as a bundle. You can A/B test, measure and survey to find out what has the biggest impact. Promotions. Promotions come in many shapes and forms (free shipping, 1+1, 2+1, etc). Implement Enhanced Ecommerce if you’re an ecommerce store and track the promotions interaction and how each contributes to the sale. Rewards. Loyalty programs will keep users returning. In particular, programs that reward higher levels of spending (escalating coupons are an example of this) can positively impact AOV. Track this with an analysis platform as with a user-centred platform. 4. How Friendly is your online presence? Do you have a responsive website? There is a good chance that some of your users will be arriving via their phones and tablets, and almost nothing is more difficult to navigate than a site that’s not mobile-friendly. If a user cannot navigate your site, they can’t become customers. Compare your conversion rate with your analytics platform for each device. Does your website work on most browsers? Not all browsers are built the same–that goes without saying, but do you know what browsers are most popular among your users? There is a chance that your site is awesome on Chrome, but a mess on Internet Explorer. Do the research. Load up the browsers and make sure a user’s arrival is always solid. Fixing any browser specific issues could result in a rise in conversions. Do you speak your client’s language? If you’re a client based website that accessible worldwide, wouldn’t you want to adjust to offer your services to your audience? If you’re ignoring language support, you could be losing vital clients. Did you build your website starting from the user? No user will ever complain that your site is too easy to use, fast or clear. How many clicks does it take for a user to get to your must have experience? Have you ever counted? Make sure you are thinking as the client where less is more. Do you adjust for your customers time? Information on your landing page should be prioritised by importance. You typically have five seconds to convince a visitor to stick around. Make the most of that brief moment in time. How good is your hook, and how well do you deliver on the promise? Are you adapting to the new video trend? A video on your landing page has the chance to drive conversions. Consider YouTube, or other services as long as users do not have to download additional plugins. Can your customers leave ratings and reviews? Having reviews and ratings bring real feedback from real clients. Clients are then more likely to make a decision based on what they read from other perspectives.